We’re back! The Florida Animation Festival has returned! Mark your calendars for tons of fun, learning, and creativity on June 13 – 16, 2019. The Florida Animation Festival (FAF) is the only festival of its kind in the region, celebrating the art of animation in all its forms. From stop-motions to visual effects, there are thousands of frames and keyframes involved that create the magic before our eyes. 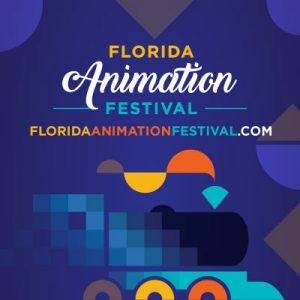 Featuring nearly 100 shorts by the world’s best independent animators, and exclusive presentations by professionals in the animation industry, the Florida Animation Festival is a 4-day animation festival at All Saints Cinema in Tallahassee, Florida. To date, we have received over 400 submissions from 28 countries! Student, independent, and professional animators from Argentina to Japan and throughout the USA submitted projects in six categories: 2D/vector, CGI/3D, stop-motion, frame-by-frame/traditional, mixed media/experimental, and VFX/live action with visual effects!